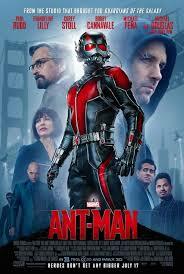 Review: Scott Lang, a former thief who dons an advanced suit. This enables him to shrink to the size of an ant but to increase in strength. His job is to embrace his inner hero and help his mentor, Dr.Hank Pym. They plan to pull off a heist that will save the world.